A witches’ brew of clunky design. 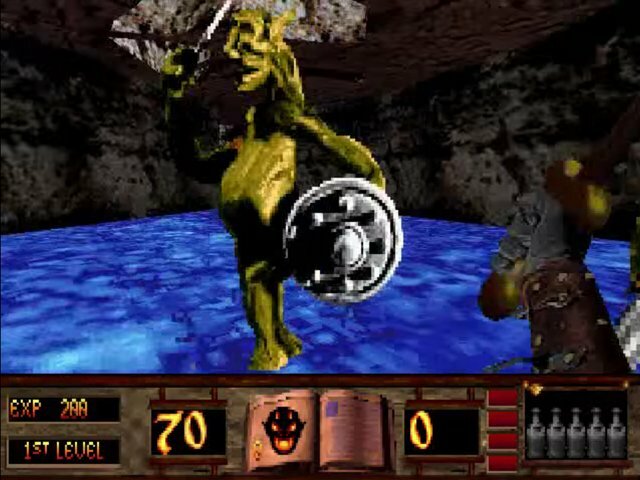 Raven had almost singlehandedly pioneered the fantasy shooter with their Doom-based Heretic and Hexen series, but despite their success there have been few doppelgangers shadowing in their footsteps. 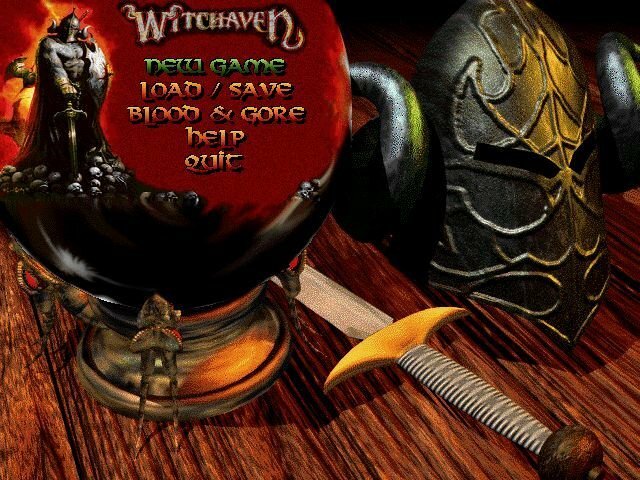 One such rare example is Witchaven from developer Capstone. Theirs is a first-person action game that tries to meld Doom-style killfests with the finer elements of fantasy role-playing, promising us new avenues of gameplay. Their delivery falls far short, unfortunately. 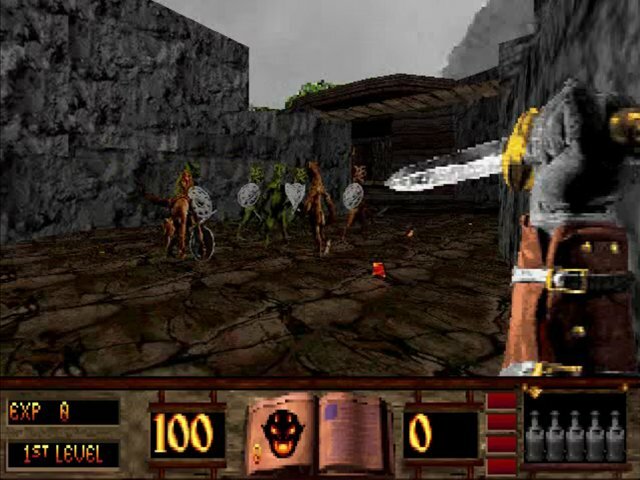 By far the biggest issue you’ll face throughout Witchaven is the combat. 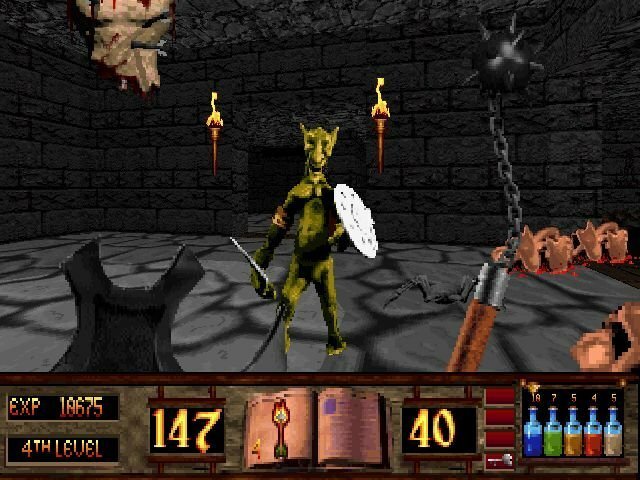 With lousy hit detection and over-reliance on melee based weapons (swords, axes, flails, etc. 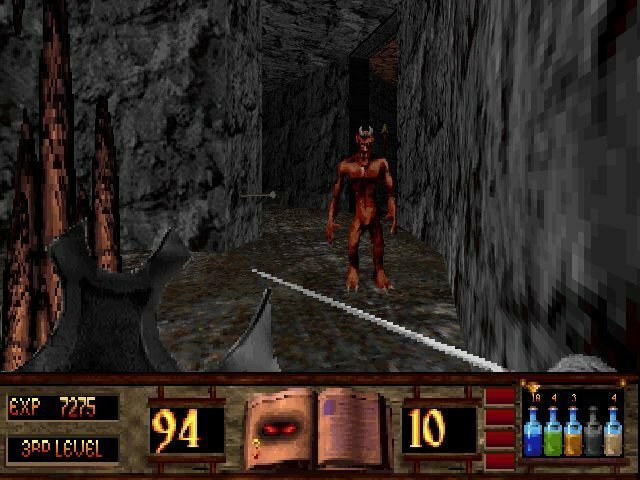 ), you’ll find that killing any assorted hellspawn is more of a challenge than it should be. Collision detection is non-existent, and as such you’ll sometimes glide through foes as you’re trying to kill them. What’s more, other than their grotesque shapes, there’s not much differentiating bad guys from one another. 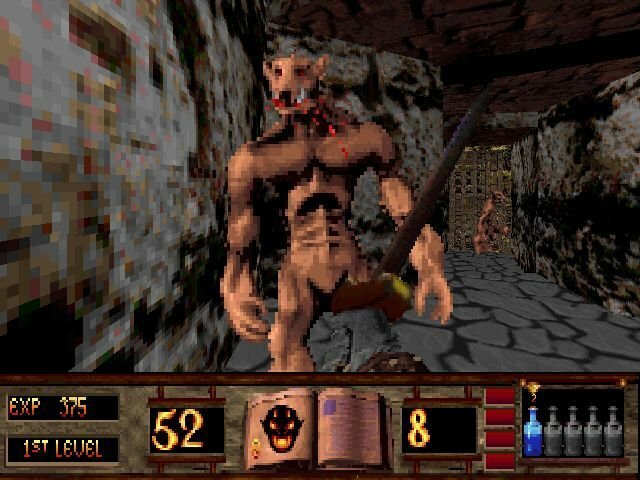 Every new monster you fight feels like a lame clone of the previous monster, with none of the finer balancing and forethought you’d get from Heretic or Hexen’s monster roster. 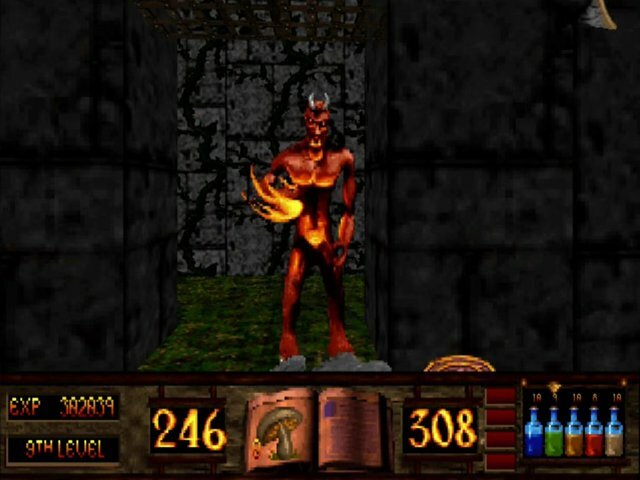 The paper-thin RPG elements are more of a hindrance than enhancement to gameplay. 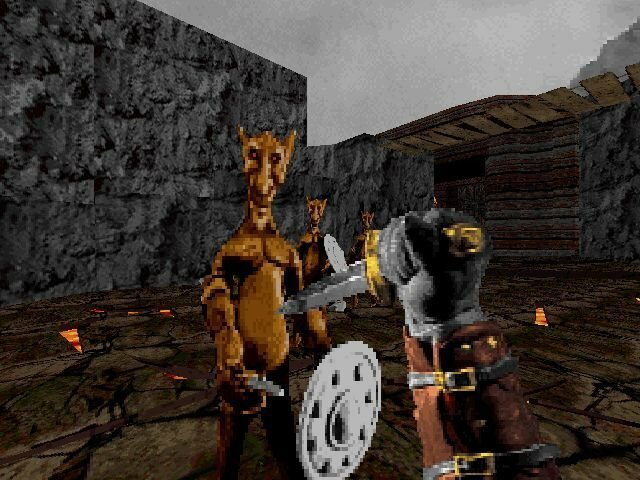 To its credit, Witchaven has included a diverse pool of hand-to-hand weapons that you can find throughout your journey, steadily advancing your arsenal from a pitiful dagger to more deadly swords, axes and a bow. It’s only unfortunate that all of these arms are laughably frail, and when they brake in the middle of combat (as they always do) you have to scramble to find a replacement fast. 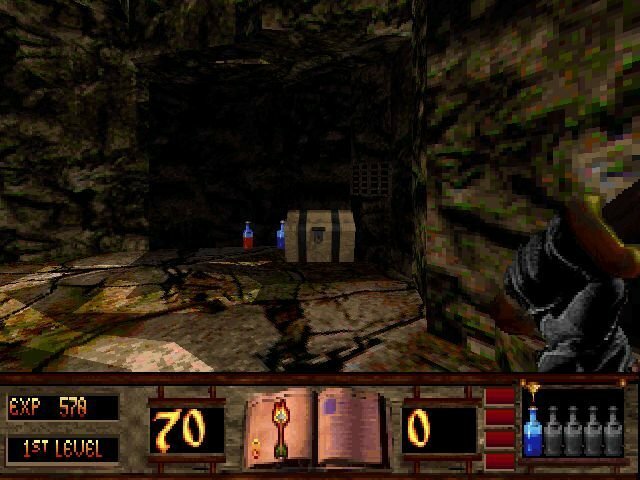 The addition of potions and spell scrolls do help enhance the game, – the Nuke spell is of particular coolness – but nothing can really redeem Witchaven from the overall stale combat. 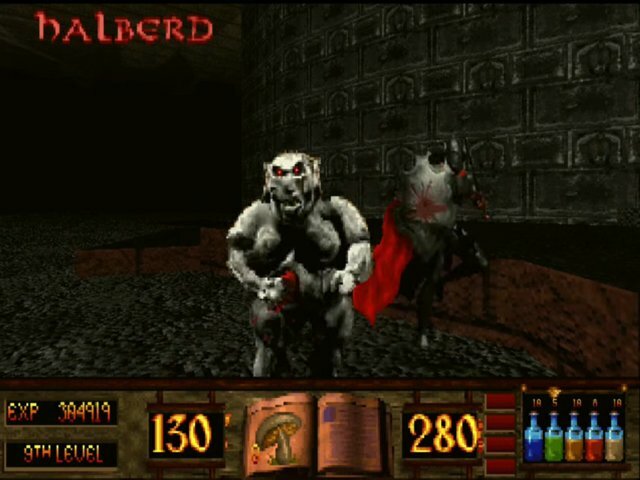 The game isn’t completely worthless – it’s borderline playable and the grotesque art even has some twisted charm to it. 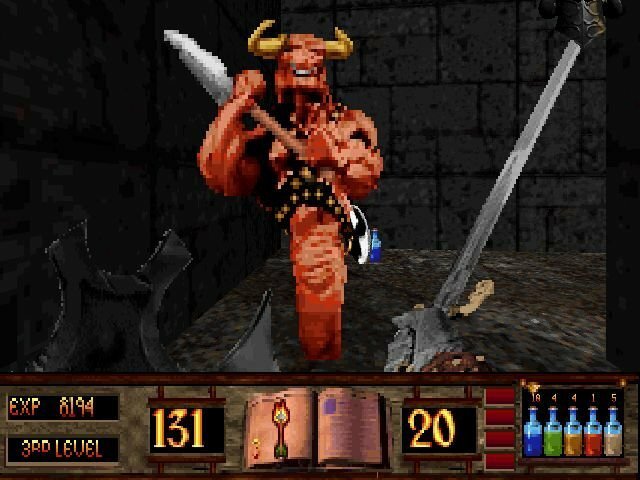 You could tell the designers were going for a gory first-person medieval slasher kind of experience. 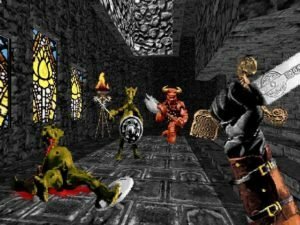 But when the sum of Witchaven’s parts just can’t hold up to the competition, well… you end up not wasting time over it, as you can find better shoot ’em ups elsewhere. Looks good, though. 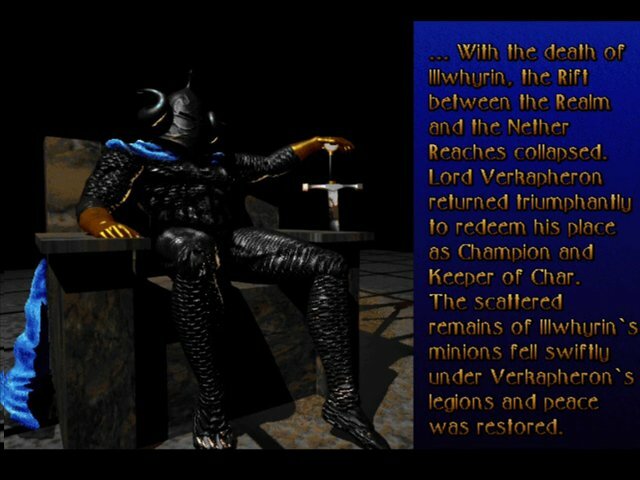 Just for the sake of having more Heretic-esque games to play. Thanks! 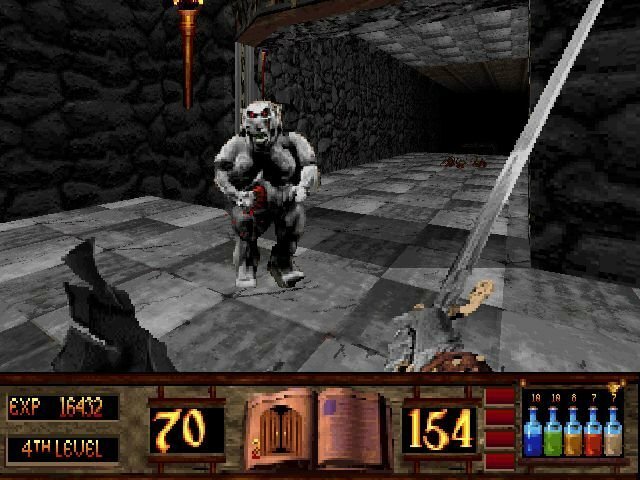 Hexen 1/2 are the best Heretic clones.